It is a scenario that has played out many times in many different ways over the last year or two. A phone call from a science supervisor in a surrounding county. An email from a principal. A discussion with a department chair while observing a student teacher. A former student sending a text message. An increasingly familiar question is often asked of us. Do you have any science education majors who will be graduating soon? Our answer has increasingly been that we do not have many science education students graduating and certainly not enough to fill all of the vacancies indicated by the number of requests we receive. We know we are not alone and our institution is not the only one experiencing an enrollment decline in teacher education programs. Recent data shows enrollments in teacher education programs across the nation dropped from 691,000 to 451,000, a 35% reduction between 2009 and 2014 (Sutcher, Darling-Hammond, & Carver-Thomas, 2016). Also, the number of both bachelor’s and master’s degrees awarded in education has declined while the number in all fields has increased (Will, 2018). Moreover, only 2% of aspiring teachers are science education majors (Will, 2018). 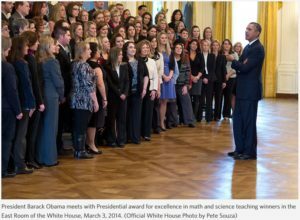 The purpose of this editorial is not to explore the reasons for the decline in teacher education programs or to share our thoughts on what can be done to recruit and retain science education majors. Rather, we know many of you are working towards the same goal and many of you have made advances in your efforts. Whether these advances have come from individual efforts, departmental efforts, or university-wide efforts we know that many of our colleagues are engaged in fruitful work. Some of that work has been funded by internal or external sources and some of that work has not. The times are changing and for many reasons the number of students attracted to science education majors is declining across the nation. To address this decline, innovative strategies and programs are needed that are aligned to the current political, economic, technological, and social climate. More than ever before, your colleagues may be interested in hearing the work that you have been doing to address declining enrollment. We are writing this editorial to request that those working to attract more students to science teacher education programs consider sharing your innovative work and lessons learned along the way. Innovations in Science Teacher Education provides an outlet for compiling strategies for recruiting and retaining science education majors across disciplines. Some science disciplines have a more developed history of successfully recruiting and retaining majors, most notably physics education. The PhysTEC program, funded by NSF, has a very successful history of increasing the number of physics teachers and have reported on their successes (Sandifer & Brewe, 2015). Many of the successes of the PhysTEC program can be implemented with other science disciplines, but those outside of physics education research circles may not be familiar with this work. Innovations is a practitioner journal for science educators and an appropriate place to publish your work directed towards addressing the declining enrollment in science-specific teacher education programs at the PK-12 grade levels. Science teacher educators cannot successfully address declining enrollment in our programs individually or within our institutions. We need to share strategies with one another to slow or reverse declining enrollment numbers. Our graduates often stay local, but often cross state lines to begin their science teaching careers in other states. Thus, the global nature of this issue can better be addressed when science teacher educators work together to help one another grow and strengthen teacher education programs. We believe the Innovations journal can serve as a central depository for sharing information on successful programs that have adapted in innovative ways to address the science teacher shortage. While we have yet to publish a special issue, there may be no topic that is worthier of a dedicated issue than manuscripts that address the issue of declining science teacher education candidates. Please consider submitting a manuscript that describes the work you have done to address this issue. Sandifer, C. & Brewe, E. (2015). Recruiting and educating future physics teachers: Case studies and effective practices. College Park, MD: American Physical Society. Sutcher, L., Darling-Hammond, L., & Carver-Thomas, D. (2016). 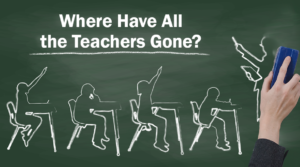 A coming crisis in teaching? 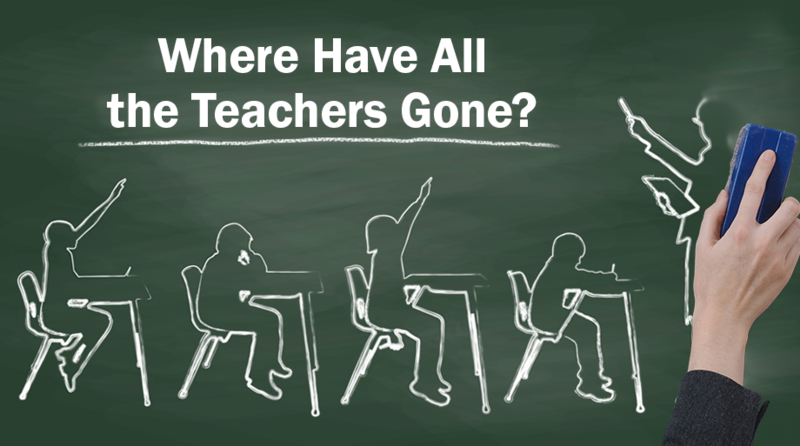 Teacher supply, demand, and shortages in the U.S. Palo Alto. CA: Learning Policy Institute.